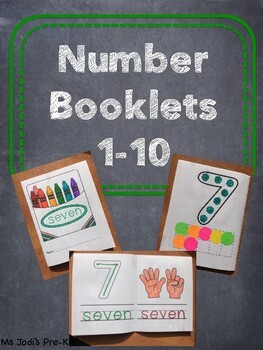 This 4 page booklet covers numbers 1-10 and works on number recognition, number word recognition, tracing, counting and one-to-one correspondence all without any cutting or stapling! 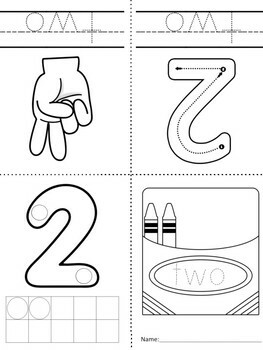 Simply print and fold! 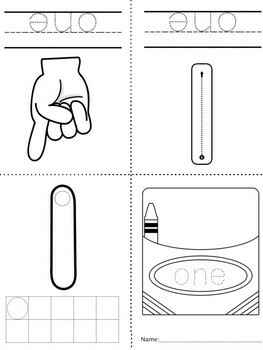 Page 1: Count and color the correct number of crayons and trace the number word on the crayon box. There is also a space for the student to write their name. 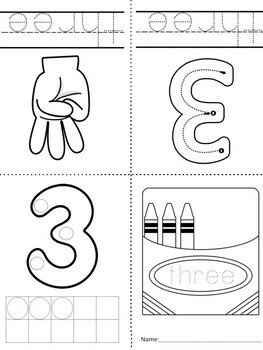 Page 4: Count and color (or use stickers) the correct number of dots on the number and count and color (or use stickers) the correct number on the ten frame!